The Nurburgring package features new aerodynamic kit including a fixed rear wing, front spoiler and side-fin-type spoilers to achieve greater downforce. Maximum power from the mid-front-mounted 4.8-litre V10 engine has also increased from 552bhp to 562bbhp, and gearshift times have been cut by 0.15 seconds. Because of the increased downforce the 0-62mph time of 3.7 seconds and 202mph top speed of the 'standard' car has remained unchanged. Handling modifications include sports tuning of the suspension and mesh-type wheels that run on dedicated high-grip tyres. 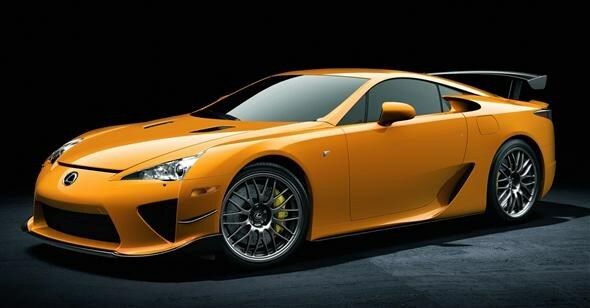 The performance package has been launched in celebration of LFA's entry in the Nürburgring 24 Hours race and just 50 examples will be built within the total LFA production limit of 500 cars. If they wish customers can take individual driving instruction on the Nordschleife circuit from the Nurburgring's chief instructors. They will also receive a one-year driving pass to the track. 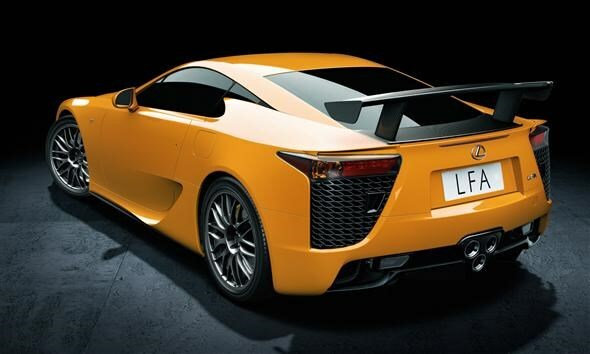 The standard car costs £336,000, but Lexus has not yet announced a price for the performance package.